Takeaways from Fortune’s annual list. 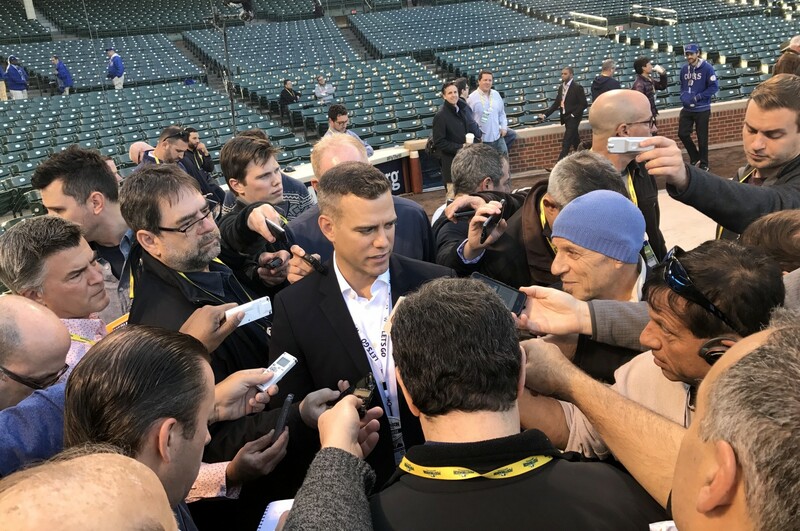 Some people might say Theo Epstein is a great leader because he did the (seemingly) impossible: Under his guidance as President of Baseball Operations, the Chicago Cubs actually won the World Series last year. But according to Fortune’s just-released rankings of the World’s Greatest Leaders, it’s Epstein’s ability to assess his players own leadership skills (among other strong suits) that helped him take both the top spot on this year’s list and baseball’s biggest title. As Fortune writes, “In his book The Cubs Way, Sports Illustrated senior baseball writer Tom Verducci describes that evolution, showing how a deeper understanding of important human qualities among his players — the character, discipline and chemistry that turn skilled athletes into leaders — enabled Epstein to engineer one of the most remarkable turnarounds in sports.” In an age where sports — and business — are so reliant on and driven by data, it’s refreshing to see someone in charge who understands that employees are people first, and how developing their skills can help a business (of any kind) perform better. Pope Francis made the list as well, coming in at number three. Fortune shared this quote from Arianna Huffington about Francis’s inspiring message: “I’m in awe of the way Pope Francis has used his powerful role to spread a message of unconditional love, forgiveness, humanity, and humility.” We’re also firmly on board with his belief that the more time we spend attached to our smartphones, the more our actual in-person relationships suffer. When leaders take care of themselves and their staffs, the effect trickles down, improving everyone’s performance and personal well-being. If more bosses took these healthy approaches to personal wellness and recognizing employee potential, we’d all benefit. Read Fortune’s full list here.